The “world’s first” pre-accelerator programme has launched to support the growth of fast-growth start-ups across Europe, backed by the European Regional Development Fund and the Capital Accelerator Programme. 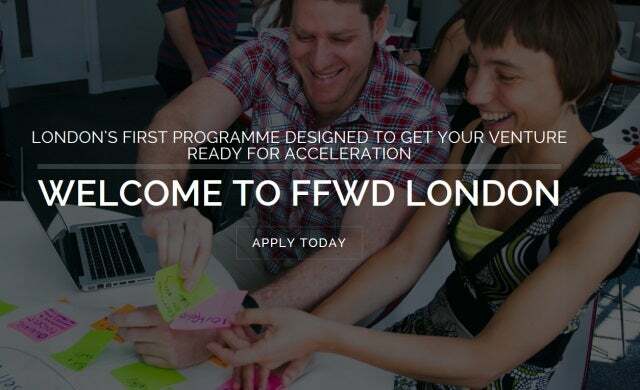 Unveiled by co-founders City University London and the Accelerator Academy, pre-accelerator FastForward (FFWD) London intends to help shape early-stage start-ups and prepare them for seed funding whilst offering a “fast track” to leading UK accelerators. The initiative, which is designed as a blueprint to be rolled out across Europe in 2015, is tasked with creating 44 start-ups, of which 35 will be funded, and 172 new jobs over the next two years. It will select “ambitious” tech start-ups over a six week part-time “sprint” programme starting with an induction day for the initial 25 selected start-ups on June 19, with each participant receiving access to workspace, business training, and workshops covering key tops such as marketing and finance. Leading firms such as New Entrepreneur First, HealthBox, BBC Labs, TrueStart, TechStars, The Bakery, and UK Trade & Investment’s (UKTI) Sirius Programme, will be providing advice and mentoring as part of the programme. The scheme will culminate in September where member companies will each pitch their ideas to a panel of London’s “best” accelerators, early stage funders, and grant providers. Entries for FFWD London close on June 19, to apply or find out more information click here.